After 146 years, America's most celebrated circus Ringling Bros and Barnum & Bailey Circus has staged its final performance in New York, BBC reports. Owners of the company said the tough decision had been made due to falling ticket sales and high operating costs. "As far as this great American institution, it is a sad moment," ringmaster Johnathan Lee Iverson said. For the performers, it also means the end of a tight-knit community that lived on a train in between shows. 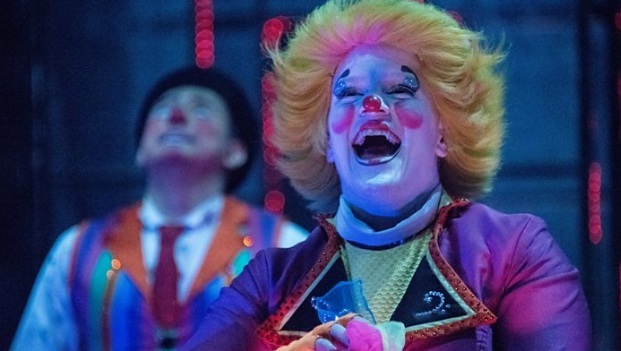 The final performance of what the company described as "the greatest show on earth" was streamed live online. Just before the show, David Vassallo, a clown at the travelling circus, told Reuters: "For every artist it's a dream to be part of this show, the greatest show on earth. "I cannot even describe how happy it was for me to be part of that and I'm sad of course to wake up from this amazing dream." Ringling Bros was the last American circus that travelled by rail. Until Sunday, the company's train was the primary residence for most of the performers, who hail from 13 different countries. "I learned to walk on the train, my parents were living on the train when I was born," Ivan Vargas, a sixth-generation circus performer, told the BBC earlier this month. Vargas, 26, whose family is originally from Mexico, was born in between Sunday performances.